There was once a time when most women preferred their men clean shaven, because this was considered the epitome of being well groomed. 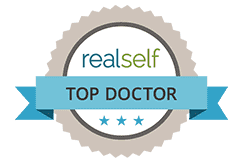 Today, however, the stubble, the bristle and other forms of facial hair have become incredibly popular and a growing number of men are looking at the same, to not only stay in tandem with the times, but also look macho! There is however a science and an art to maintaining facial hair and understanding the basics is the first step to doing so. Over the past few years, an increasing number of celebrities are opting to sport facial hair and some of them are truly setting the standards. 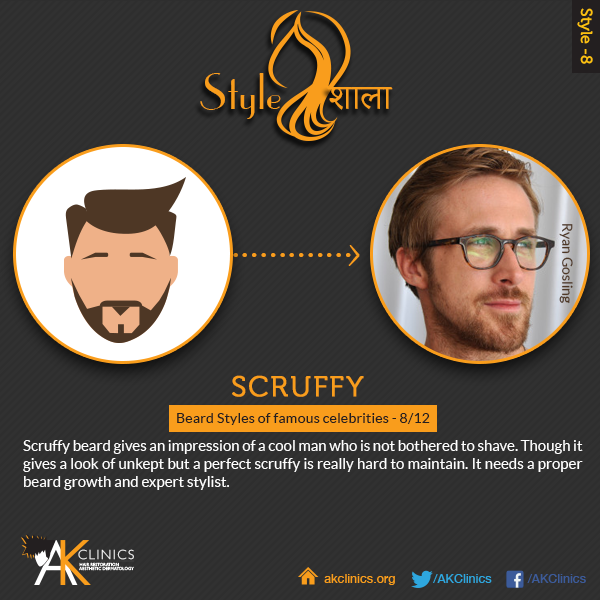 They are also displaying the rules of growing the facial hair in the right manner as well as how to maintain them. 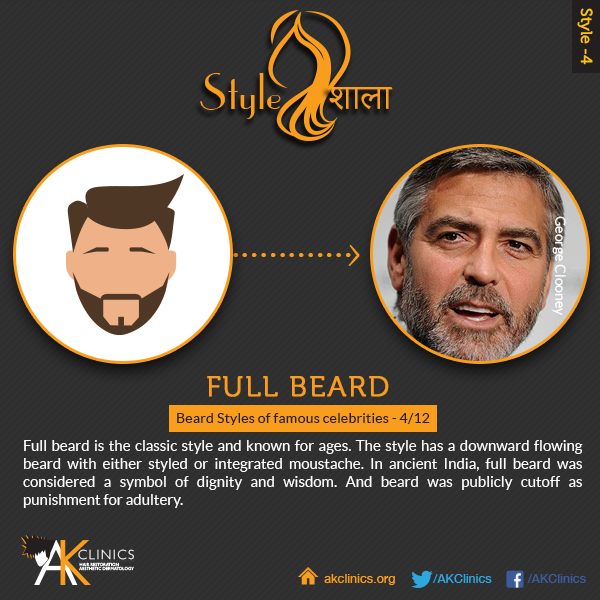 Let’s look at some of the most popular types of beards, the methods of creating them as well as maintaining them, and most importantly, who it will suit the most. 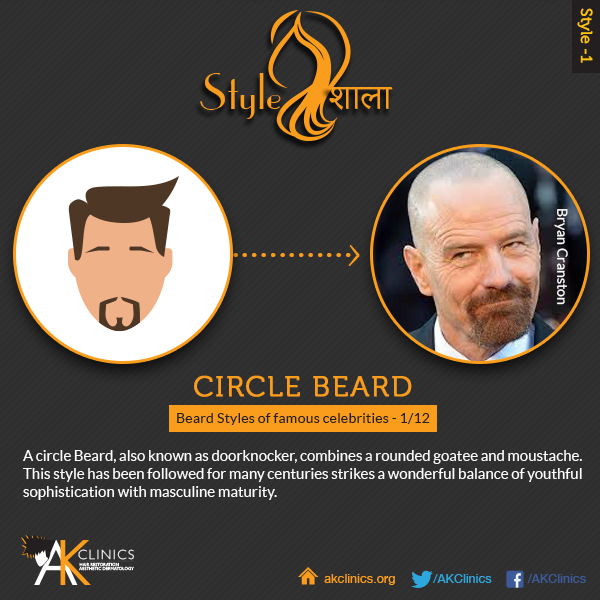 Also known as a door knocker, this is a style that combines both the goatee and the moustache.Channing Tatum has been seen with something that is known as the skinny circle beardor skinny goatee, which is becoming increasingly popular with younger men. 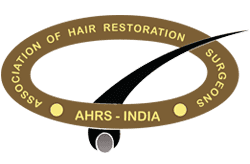 Vertical thin strips of hair connect the moustache to the beard, all of which are not very thick. There should be a just hint of a soul patch, which is why this style needs a lot of work. 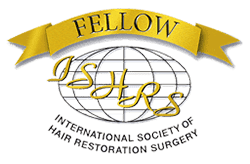 The style works best for men with full faces and straight coarse hair. Once the beard has grown out, you can trim down the goatee area first. Then, with the help of a good single blade razor, you will have to outline the goatee and remove the hair in the centre. 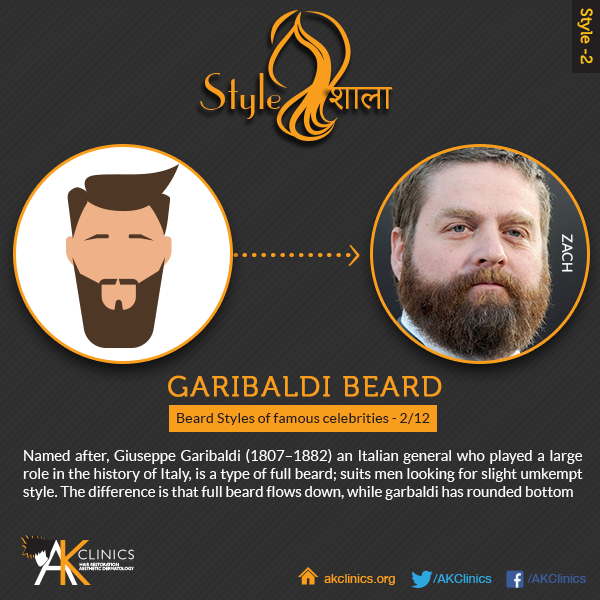 The style has been named after Giuseppe Garibaldi, who was a famous Italian general and is a type of full beard, which is suitable for men who prefer a slightly unkempt style. The only difference between a regular full beard and a Garibaldi is that the bottom is more rounded and maintained. In addition, there is also the full beard, combined with a thick moustache, like the one Jake Gyllenhaal has. 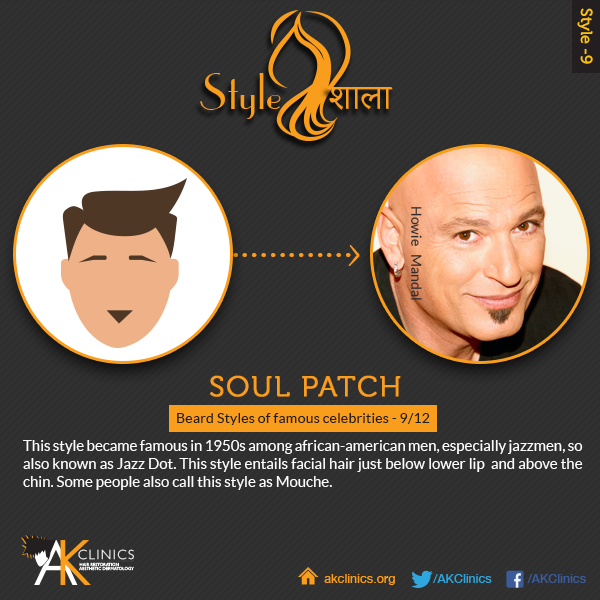 This style works best for men who have a round jawline and have hair that is straight and slightly coarse. In order to get this style, you will have to allow some time, because the hair will have to grow out completely. 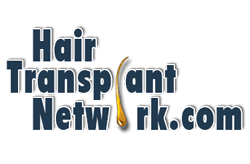 Once it has grown out, you can trim it to the length you like and keep doing the same, every week. It is also important to keep the beard clean, for which you can wash the same with a gentle shampoo twice or thrice a week. 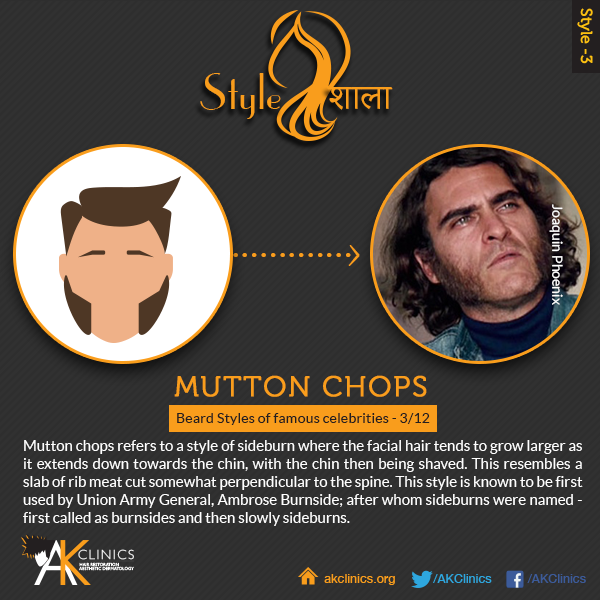 This is the name used to define a style wherein the sideburn grows out, and starts to extend towards the chin. The chin however is shaved clean and because it looks like a mutton chop, the name has been given. For this style to look good, it is important that the sideburns be thick and well maintained. 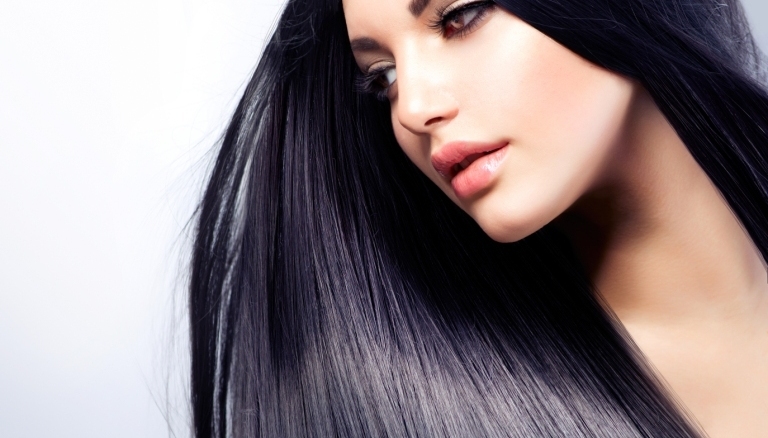 Unruly hair needs to be trimmed regularly and the thickness should be maintained with a razor. If age has started showing on your hair, then do what Hugh Jackman has done – show off the grey with style! You can have either a full beard, which has been trimmed down to stubble or you can opt for a carefully styled goatee, which can be surrounded by a mild scruff. The style works really well with pear shaped faces and almost all types of hairs. 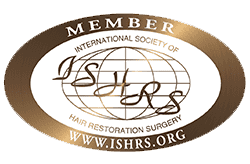 The hair will have to be trimmed on a regular basis, if not daily and you can even choose to have your beard coloured to highlight the greys. Even though these two styles are different, they are often grown together. 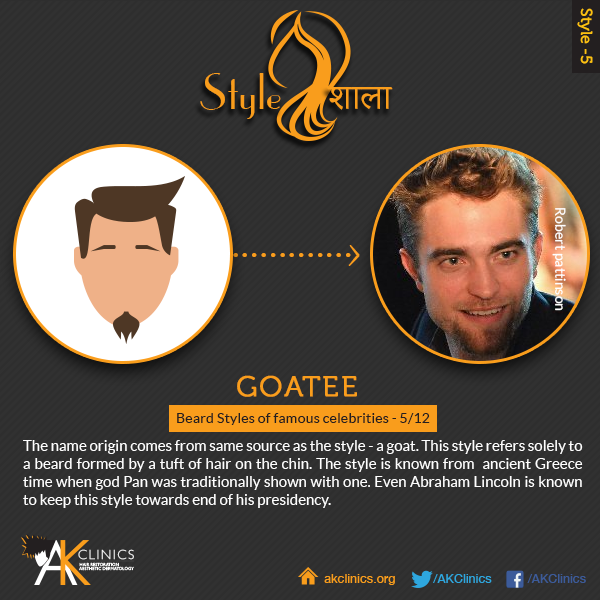 A goatee is where there is a tuft of hair on the chin and a soul patch is where a tuft of hair is grown right below the lower lip and could canter down towards the chin. Remove the connecting lines of a thin goatee and you will have a style that is easier to maintain and works really well with an oval, symmetrical face. Think of a mash between a slim goatee and a full beard and you will get the look that ZacEfron has been carrying off with style. The chin is slightly bare but the rest of the face is fuller. The moustache will extend downwards towards the beard, but will not actually touch it. This style will work well for almost all kinds of hair types and will look best on people with rounder jaws. The moustache and the soul patch need to be well defined and for this, you will have to invest in a trimmer as well as moustache razor. 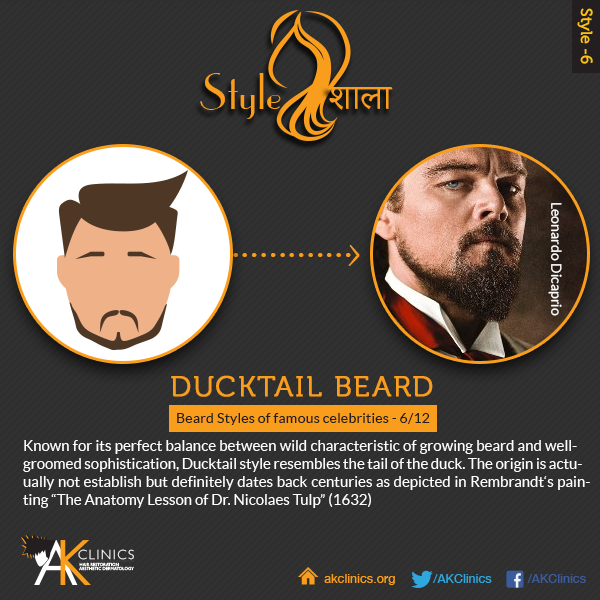 Imagine the tail of a duck and how it curves – a fine line between a full-fledged beard and immaculate grooming, this is a style that is not seen too much these days. 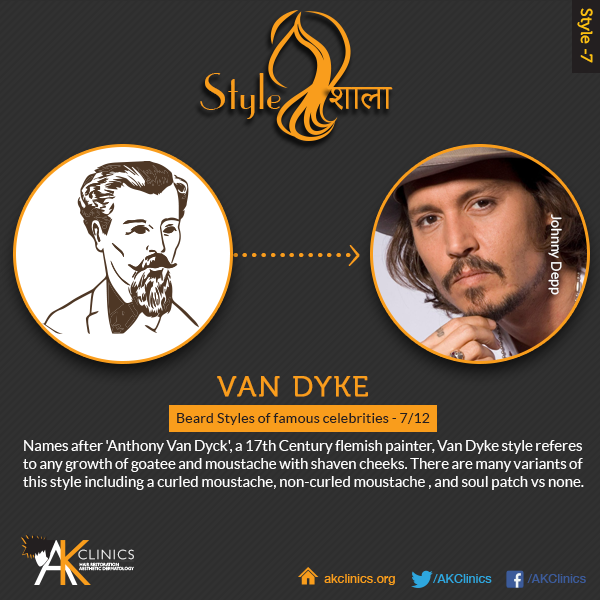 Named after Flemish painter Anthony Van Dyke, this was a style wherein a goatee and a moustache were both grown, but the cheeks would be kept clean. 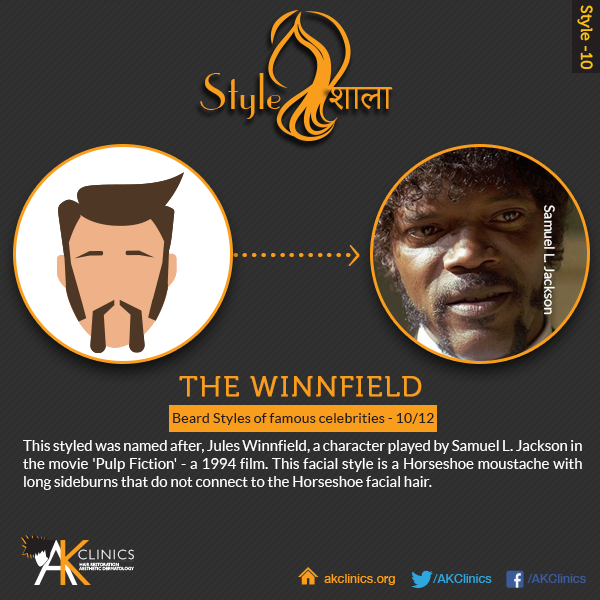 Men can become creative with the style, by opting for a curled moustache or straight one or even a soul patch. If you have an oval or symmetrical face, then you can consider a style that Bradley Cooper has been seen with recently. The style looks like it does not need a lot of maintenance, but actually it does take a little work. In order to get this style, you will have to allow for a full beard to grow out. Once the full beard has appeared, use a trimmer to trim it down and maintain the same. Apart from the daily trimming, there is little effort for this style. The moustache needs to be thin and the goatee as well as the soul patch should be slim too. Like Nick Cannon, even if you have slightly curly hair, you can have this style, but you should be willing to maintain the same. While the moustache will require attention on a daily basis, the soul patch and the goatee will have to be taken care of every week. Named after a character played by Samuel Jackson in the 1994 hit movie, Pulp Fiction, this is a combination of a mutton chop and long handlebar moustache. The sideburn does not connect with the moustache, and most part of the face is actually clean shaven. The style is actually hard to maintain and not something that a lot of men sport. 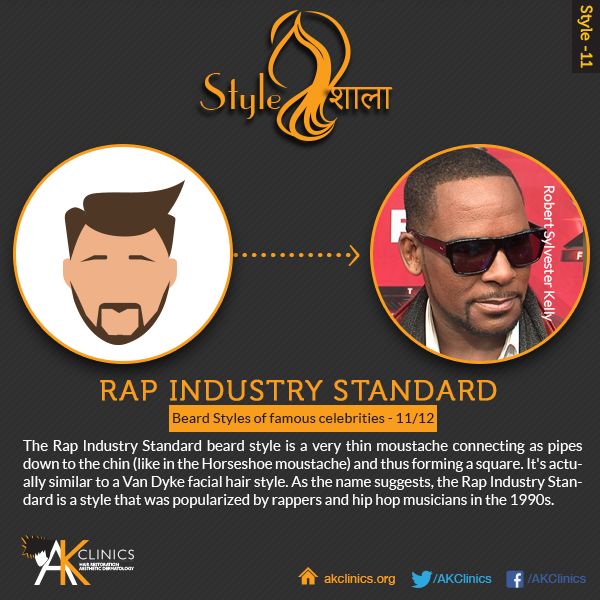 A thin moustache that connects one side burn to the other and is also a goatee, this was once a regular facial feature of men, who were in the rap music industry. Then it went onto become a favourite with sports personalities too. Apart from the thin lines, the rest of the face is clean and this style requires regular maintenance. Simply think of Robert Downey Jr. playing Tony Stark in the Iron Man movies and that is the beard that we are talking about. 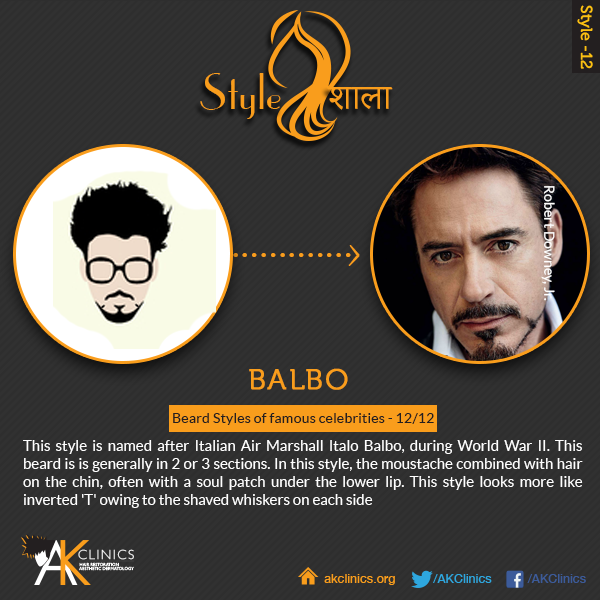 The original style was named after Italian Air Marshall Italo Balbo, who was one of the war heroes of the Second World War. The moustache combines with the hair on the chin, and there is almost always a tuft of hair under the lower lip. And then there is a moustache, which has gained a modern avatar now – one look at James Franco and you will realise that now the moustache need not be too thick, nor does it have to be one continuous line. Create a separation between the moustache and you have a modern interpretation, which will work great for oval as well as symmetrical faces, which have straight and coarse hair. You will however, have to ensure that you shave every day, paying close attention to the gap underneath the nose. It would be wise to use a single blade razor to clean the said area.